Early rise and breakfast, we load our bags and the car does its last journey to the Inter-Island Ferry terminal. A quick check that we have got all our belongings out before I drop the keys through a hire-car returns slot and we board the ferry for Picton, South Island. 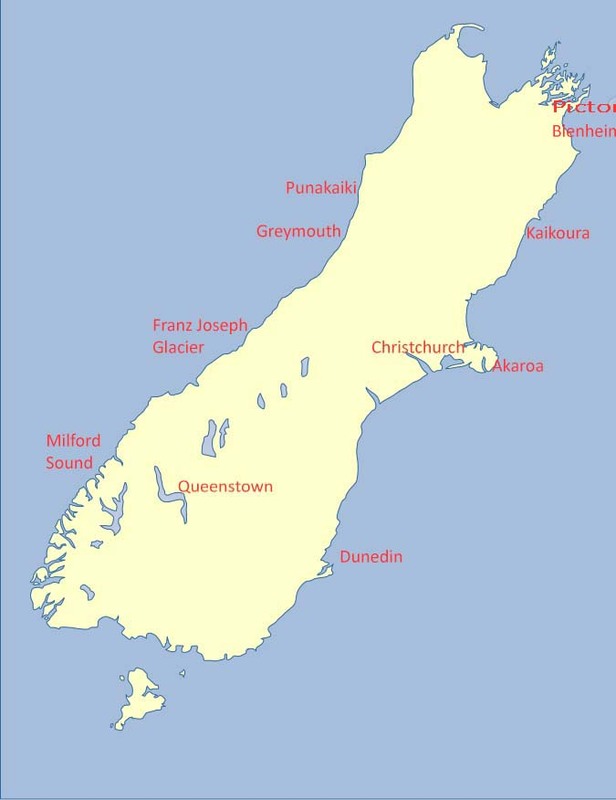 It is a fine sunny day for the three hour ride across the Cook Strait, which links the Tasman Sea on the west to the Pacific Ocean on the east. The wrath of two great oceans meets here and as we leave Wellington Harbour a voice announces that the sea today is “less than friendly” and that we should “take care if moving about the ship”. We have made numerous ferry journeys to and from Spain across the Bay of Biscay, which is renowned for being a bit rough as the deep Atlantic Ocean waves reach the continental shelf. We have always been rewarded with “mill-pond” experiences. This one is different. Our little ship pitches and tosses, rolls and yaws for an hour or so rendering many passengers bilious and most of them quite unable to move around the ship at all, let alone with care. 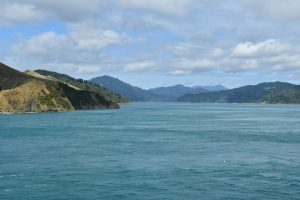 It is with some relief that we enter Picton Sound, the long channel leading to the harbour and the sea flattens out a bit. 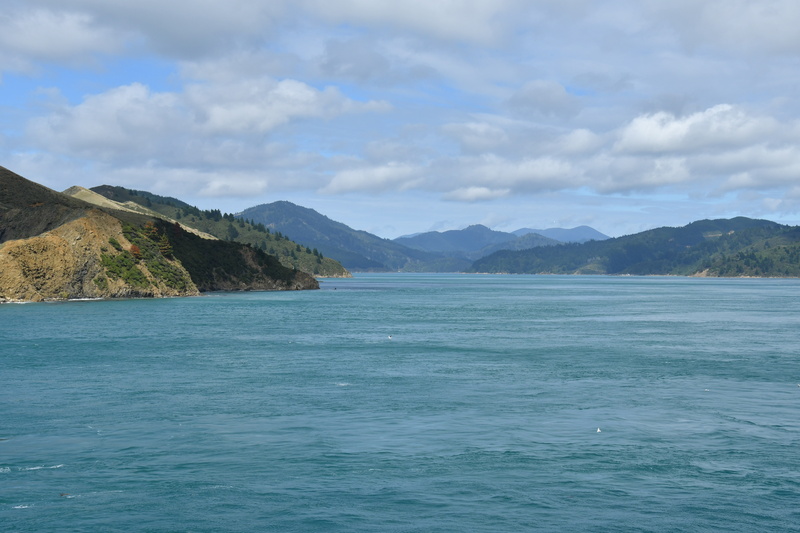 The rolling hills of South Island are most attractive and this has to be one of the most handsome ferry crossings in the world. We disembark at about mid-day, announce ourselves the Messrs. Europcar and are re-equipped with a shiny white Toyota Corolla. I had never heard of one either, but it turns out to be roomy, powerful, fitted out with aircraft standard displays, auto-everythings and a joy to drive, which is a good job because it is going to have to do quite a lot of it. 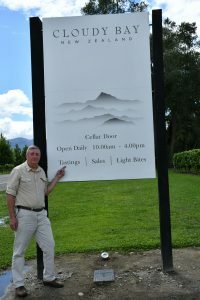 The bad news is that we were advised that in consequence of recent rainstorms, the east coast road to Kaikoura, our next planned stay-over and a mere 160 km drive, is blocked by land-slips. If we want to go there, we have to make a 450 km detour inland and around the Southern Alps and back to the east coast. 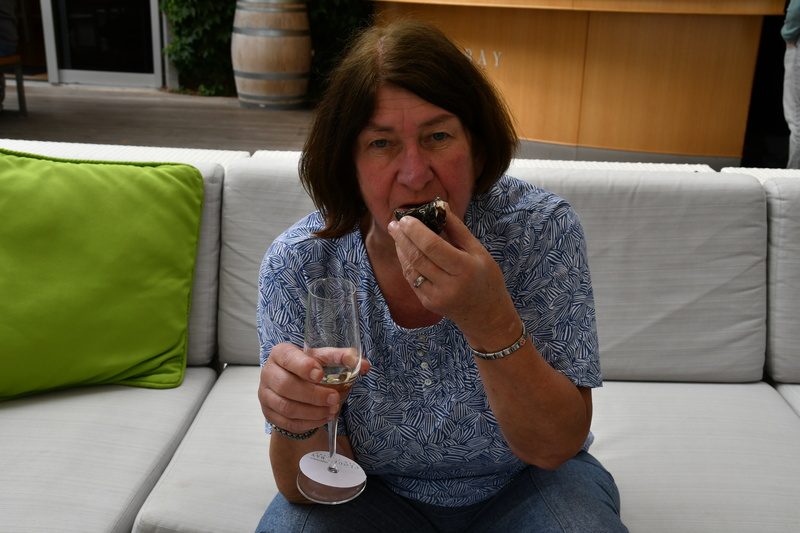 It is too much for an afternoon drive so we abandon Kaikoura and its promise of sea-life watching, and spend a day in Blenheim. Now the good news. Wine aficionados among you will know that Blenheim is in Marlborough, the largest wine growing region in NZ. 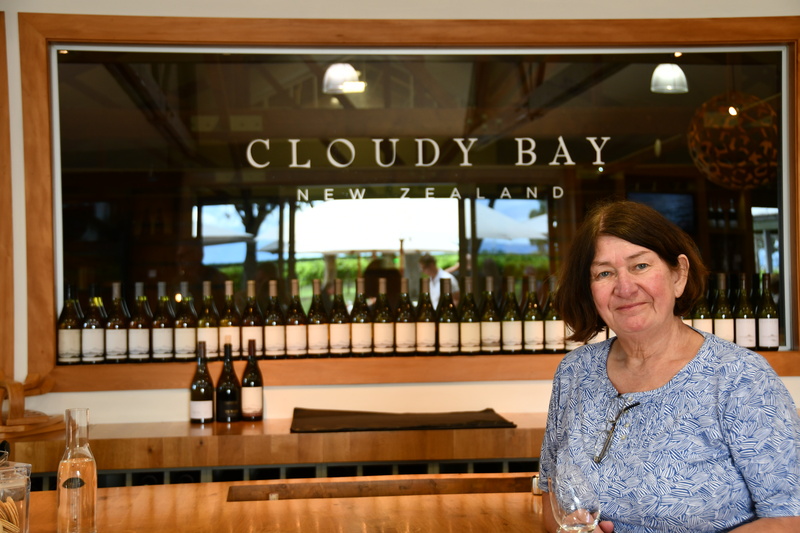 Its wineries are set along the Wairau river valley and grow cool-climate grapes such as Sauvignon Blanc, Chardonnay and Pinot Noir. 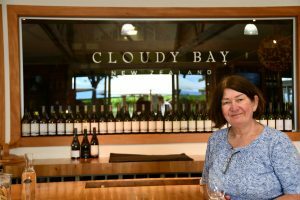 Winery names such as Brancott Estate, Saint Clair Estate, Clos Henri, Wither Hills, Auntsfield Estate, and Cloudy Bay Estate spring to mind. 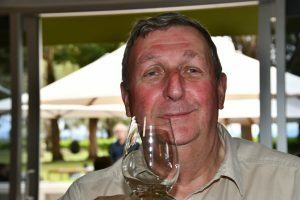 With a free afternoon to fill, we acquire a map of the producers who do “cellar door” tastings and betake ourselves to the Cloudy Bay Estate to sample several of its best wines accompanied by a plate of the freshest oysters one could wish for. 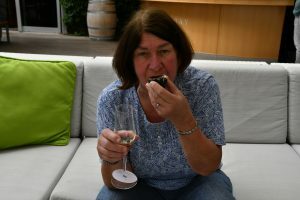 We drive carefully back to our hotel, snooze awhile, do a little picnic shopping, and dine on local, enormous green-lipped mussels, washed down with a bottle of fine Sauvigon Blanc. This place is heaven. 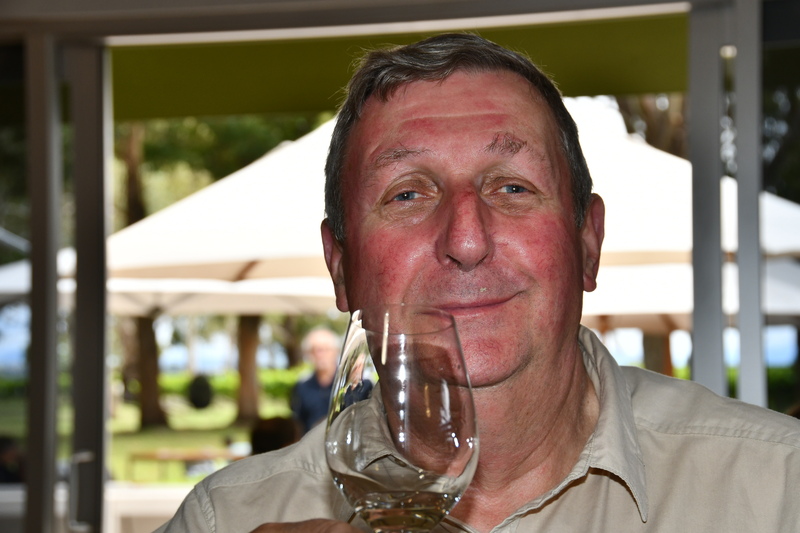 This entry was posted in New Zealand 2018 on 24 February, 2018 by David.